Quavo is on some next level ish. He just recently paid off a tax debt and he seemingly has a new lady in his life. Yep, the rumors appear to be true. There's a new rap couple for the youngings to stan over. 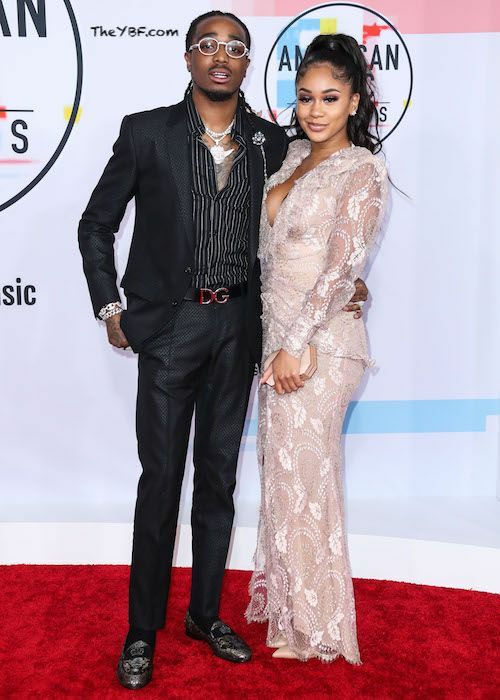 Quavo and Saweetie served up coupledom vibes on the red carpet before the 2018 American Music Awards held at the Microsoft Theater last night. Rumors have been swirling about these two for a couple of months now, and now we know it's official. 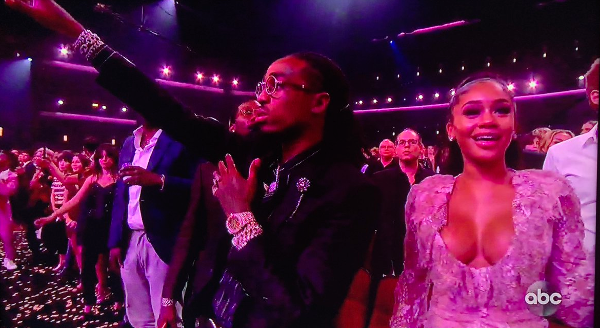 They made their first red carpet appearance together last night, and we caught Saweetie stanning for her man in the audience when he accepted the Favorite Pop/Rock Group award with Offset. By the way, we're not exactly sure how Migos fit into the Pop/Rock genre, but hey, it's 2018 and anything is possible. Hip Hop IS Pop culture these days. Earlier this week Saweetie, who's been previously linked to Diddy's son Justin Combs and "New Edition Story" star Keith Powers, appeared on "The Real" and she was asked if she and the ATL rapper are dating. She said they were "getting to know each other" and that she really "enjoys his company." Mmhmm. It seems their love story began after Quavo tapped Saweetie to star in his "Workin Me" video. You know, the usual. Congrats to them. Rapper XXXTentacion's legacy lives on. The late rapper was awarded the Favorite Soul/R&B album for his debut album, 17. His mother, Cleopatra Bernard, stepped in on his behalf to accept the award. As expected, she got a little emotional as she thanked everyone for honoring and loving her son. The 20-year-old rapper was fatally shot outside of a motorcycle dealership near Fort Lauderdale, Florida back in June. Since then, at least four men have been arrested and charged with first degree murder and armed robbery. PREVIOUS: Cardi B Tells W Magazine About THAT Confrontation With Nicki Minaj + Hustler Kerry Washington Covers Marie Claire, Talks Creating Her Own Magic!